To access information about Pesach at the Shrubbs go to the Members Section. Contact the Office for your 'PASSWORD' to the Members' section. 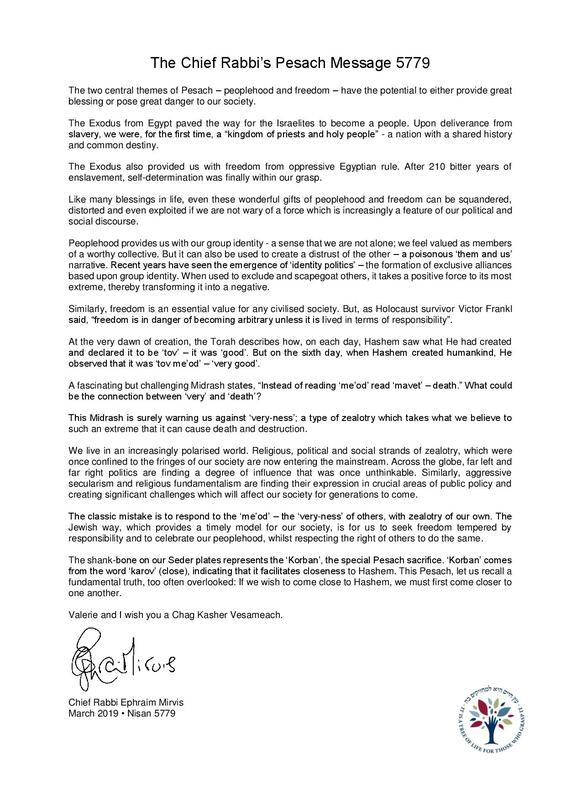 Read Chief Rabbi's Message below.